Before you earn a cent, government takes a chunk out of your pay packet in taxes. This Sunday, 13 May, marks Tax Freedom Day – the day when citizens have paid their tax bills for the year and begin to start earning for themselves, as calculated by statistician Garth Zietsman. Though Tax Freedom Day is slightly earlier than last year this is not due to the good intentions of government but rather to a struggling economy and a squeeze on the profits and consumption on which taxes depend. The long-term trend is toward increasingly later Tax Freedom Days and considering the last budget speech this trend is likely to continue. In 1994 South Africa took 101 days before we had paid for government and we could start earning for ourselves. It now takes 133 days – more than 1 month later – and the state has helped itself to more than half of the economic growth since 1994. Real economic freedom – the ability of all South Africans to keep and control what they earn – requires lower taxes. This would ensure that our economy is people-centric, rather than the current state-centric mindset that dominates our discourse. It is not government, but private firms and individuals that generate wealth and cause the economy to grow. Government cannot create new purchasing power out of thin air. The mistaken view that fiscal stimulus (government policies) can pull economies out of recession persists because the jobs created through government ‘make-work’ programmes are clearly visible. Taxes are paid from earned income and profits. Remove this incentive, as government is hell bent on doing, means less tax available to distribute for social welfare, education, healthcare, police, infrastructure and more. Calls for higher taxes are counter-productive. The key to permanently reducing poverty and improving society is to adopt policies that promote economic growth and expand opportunities for the unemployed. Low growth and the resulting decrease in government revenue has led to increased calls for higher taxes on the rich. The mantra is that government will redistribute this wealth and thus help the poor escape destitution. However, history demonstrates that imposing heavy taxes on productive individuals and companies is a simplistic notion of how to redistribute wealth and does wide untold harm. Taxes imposed on income and earnings have the predictable effect of reducing income and earnings for their intended beneficiaries. Entrepreneurs are robbed of the incentive to risk money, time and energy on starting or expanding businesses. Workers and consumers pay, in no wage increases and higher prices, for the higher compliance costs of ever more regulation and taxes. Lower disposable income for workers means lower savings, lower saving means less capital formation, lower capital formation means lower labour productivity, and lower labour productivity means lower real wages and economic growth. And while workers are faced with less disposable income, they must also pay higher prices for goods and services because of these very same taxes. 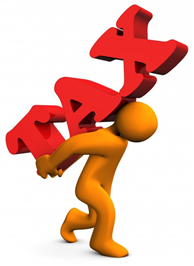 Each year the FMFs statistician, Garth Zietsman, calculates South Africa’s “Tax Freedom Day”. According to Zietsman, this is calculated by dividing General Government Revenue by GDP at market prices then multiplying the result by the number of days in a year, and finally adding a day to bring you to the first day on which, on average, you are done paying tax.